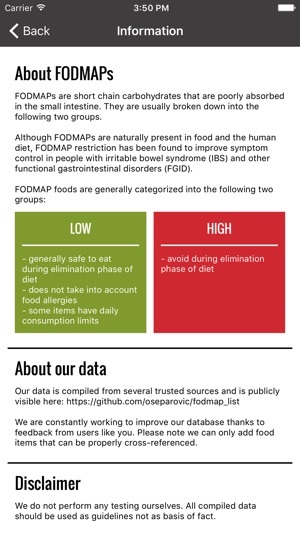 A FODMAP diet helper tool to make identification of low FODMAP and high FODMAP foods easier to help your with your FODMAP friendly diet. The FODMAP diet can be useful for people with IBS / Irritable Bowel Syndrome, Crohn's disease, Colitis, Lactose Intolerance and various other food intolerances, food sensitivities, and stomach problems. 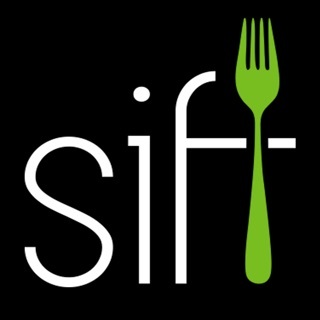 - Comprehensive list of foods and whether they are low FODMAP or high FODMAP foods, to make finding foods for your low FODMAP diet easier. 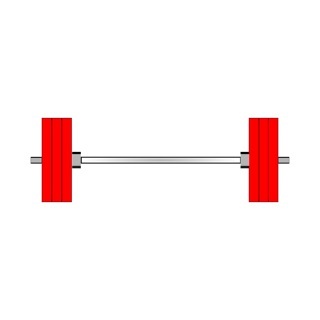 - Search by food name. 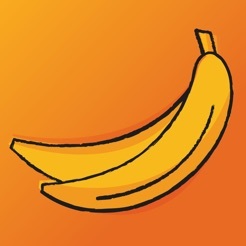 - Lookup by food category. - General FODMAP Diet and Irritable Bowel Syndrome / IBS, Crohn's disease, Colitis, Lactose Intolerence info. 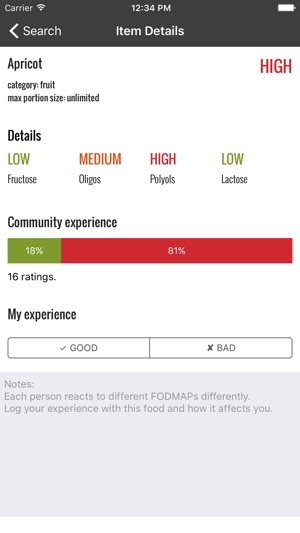 Additional FODMAP Details - With the premium version of the app you get advanced details on the specific FODMAP breakdowns of each food and whether it is high, medium, or low in the main FODMAP categories of Polyols, Oligos, Fructose, and Lactose. 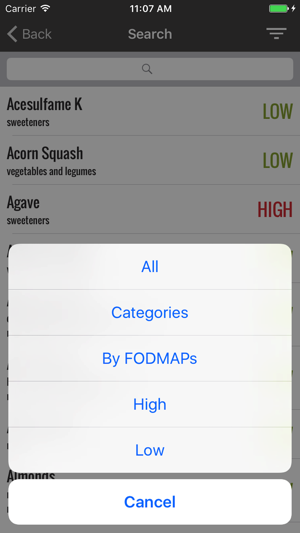 If the level is marked as "low" for a specific FODMAP type it can be assumed that the food is essentially free of it. 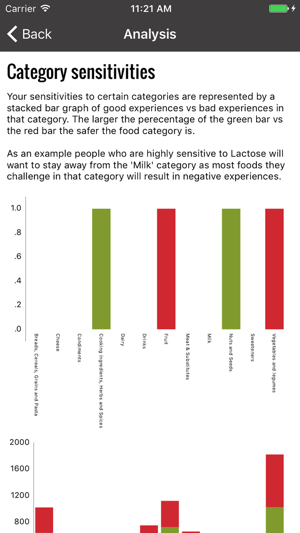 For example a food marked as "low" lactose is Essentially lactose free. 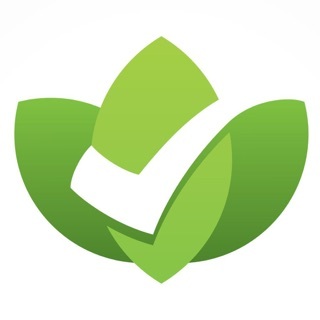 My Experience - Log your personal experience with foods to determine if a food works for you regardless of its FODMAP rating. Rate whether you had a good or bad reaction to a food after eating it, then leave detailed notes so that you know for next time how said food will affect you. Community Experience - See how the community has reacted to a food via anonymized My Experience ratings. 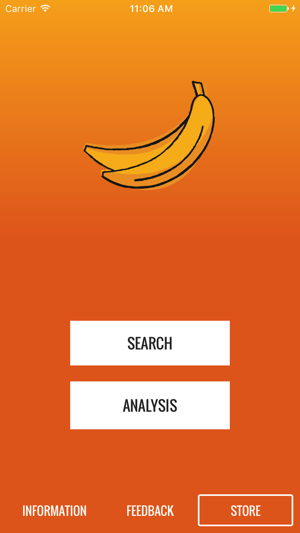 This will let you know if the majority of users of the app had a good or bad reaction to a food regardless of its FODMAP content. My Experience and Community Experience data analysis - Advanced graphs and data analysis present the my experience and community experience data to you in a useful and intuitive format to show you breakdowns of good and bad reactions to the various food categories as well as what your worst specific FODMAPs are. FODMAPs are short chain carbohydrates that are poorly absorbed in the small intestine, especially for people with Irritable Bowel Syndrome / IBS, Crohn's disease, Colitis, Lactose Intolerance, Gluten Intolerance, other food intolerances and stomach sensitivities. They include short chain oligo-saccharide polymers of fructose (fructans) and galactooligosaccharides (GOS, stachyose, raffinose), disaccharides (lactose), monosaccharides (fructose), and sugar alcohols (polyols), such as sorbitol, mannitol, xylitol and maltitol. Although FODMAPs are naturally present in food and the human diet, FODMAP diet restriction has been found to improve symptom control in people with irritable bowel syndrome (IBS) and other functional gastrointestinal disorders (FGID), such as Lactose Intolerance, Gluten Intolerance, Crohn's disease, Colitis, and other stomach sensitivities. 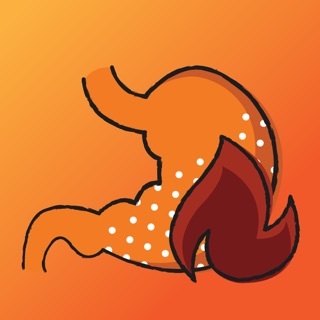 Prior to the formation of the FODMAP concept, diet was seldom used as first line therapy for management of IBS, Crohn's, Colitis, Lactose intolerance and other FGID. We do not perform any testing ourselves. All compiled data should be used as guidelines not as basis of fact. Consult your physician before beginning any new diet. This general information is not intended to diagnose any medical condition or to replace the advice of your healthcare professional. - Fixed an issue that would prevent My Experience ratings from saving. Sorry for any inconvenience this may have caused. Good list. BUT Experience rating doesn’t work. I love the list of high versus low FODMAP foods. That part is great. However, I paid for the premium but cannot submit an experience rating myself, like it says you can. For example, I have clicked on “bad” as my experience rating for chamomile tea several times, and it never saves it. It says 20 ratings have been submitted but it never saves or accepts mine. In fact, after I click either “good” or “bad,” there’s not a save or submit button or anything, and if I go back into that same food later it does not indicate that I rated it. It makes me wonder if the existing experience ratings were even submitted by real people in the first place. Since that is the big selling point of the premium, I sort of feel like paying for the premium was a rip off. I realize this is a very late reply but this sounds like a bug, could you contact us with more details if you're still using the app? 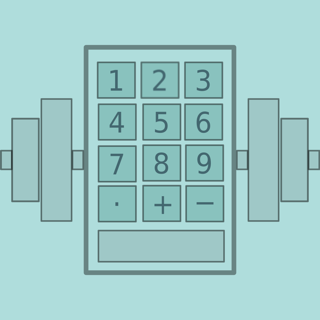 Your ratings should be saving automatically along with your notes. Ive really been struggling again with my ibs and following a low fodmap diet helps so so much. It can be a pain to remember what foods are ok or not, especially when I want to try new (not on my regular grocery list) things. I want to try the premium version to log my own folds but decided not to based on other reviews. The free one works fine though! Easy to use, simple UI. Haven’t paid to use the premium features, but just having the free list on my phone is great. Also like the idea that the list is available on github and can always be added to.